Send log file of recorded keystrokes automatically after achieving specified log size. Email setting facilitates to send log files when log size achieves specified size. 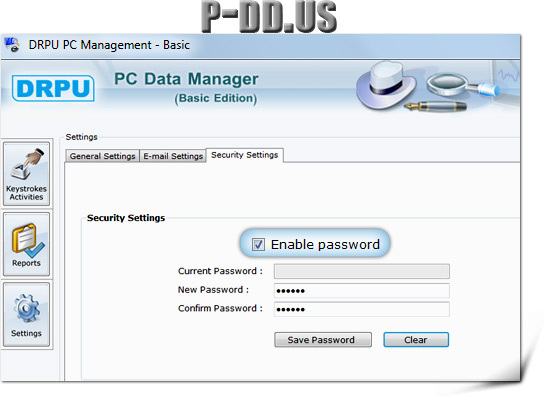 Enable check on password protected security settings for user authentication.